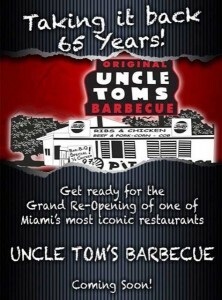 MIAMI SOCIALHOLIC » Blog Archive » Don’t Miss: Uncle Tom’s Barbecue Grand Re-Opening and Fourth of July Happenings! Don’t Miss: Uncle Tom’s Barbecue Grand Re-Opening and Fourth of July Happenings! Uncle Tom’s Barbecue Grand Re-Opening! Uncle Tom’s Barbecue is celebrating its long awaited grand reopening on Tuesday, July 8, from 6:00 to 10:00 p.m. Beginning with a ribbon cutting ceremony featuring a salute from City of Miami Mayor Tomás Regalado promptly at 6:00 p.m. Staying true to its original recipe for success from its inception in 1948, Uncle Tom’s Barbecue has been resurrected in the same spot on Tamiami Trail but with new and improved owners and a truly classic southern menu. Following the ceremony, DJ Ethics will provide the soundtrack to the evening while guests sip on complimentary house wine or beer and enjoy bite-sized portions of Uncle Tom’s Barbecue signature dishes including pulled pork, brisket and sliced pork sliders, stuffed mac and cheese, wings and ribs. RSVP is required; RSVP to UncleTomsBBQ@cm-publicrelations.com. On Thursday, July 3, from 8:00 to 11:00 p.m., Mandarine Napoléon, the 19th century citrus liqueur created for Napoléon Bonaparte, launches The Emperor’s Social Bar at The Broken Shaker at Freehand Miami. Join them for a night of socializing and complimentary Mandarine Napoléon cocktails, where Instagrams and Tweets are the currency! For each new and unique Instagram post or Tweet, guests will get a branded token towards a Mandarine Napoléon cocktail. The Restaurant at The Setai will be offering at their Bar & Courtyard a more exotic approach to the celebration. On July 3, they will host Caviar & Cocktails – featuring real caviar; premium “European” caviar, cocktails that will include ingredients like Capers and vodka; Elite Vodka (high-end Stoli vodka) and vermouth – carbonated, make it like champagne to pair w/caviar. Premium caviar; first hour complimentary cocktails, each w/a spoon of caviar; $12 for next 2 hours cocktails served with a spoon of caviar. Beginning at 4:00p.m., Biltmore offers an all you can eat BBQ buffet and open bar, along with a spectacular Fireworks display. Get a front row seat with for this annual event. 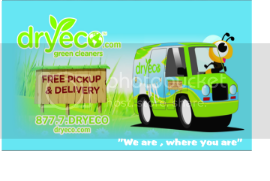 Members $120; guests $150. Join APT606 for “DUSK” at The Standard Spa for an exclusive menswear collection by fashion’s golden boy, Christopher Kane, and curated by APT606. The atomic inspired collection will be accompanied by cocktails at sunset and beats by DJ Cassinelli from 6:00 to 9:00 p.m. Members of The Standard receive 10% off the FW2014 Christopher Kane collection; RSVP to Scott Hauser Hauser4@aol.com. On July 3, Cavalli Lounge is proud to have Capital Cities DJ Set joining them for the night. With their song “Safe and Sound” at the top of all the charts, they will be opening Katy Perry’s concert in Miami and then ending off the night partying at Cavalli Lounge. On the 4th, Cavalli will be featuring a special menu for the day. Every day this week, Wall Lounge will have a different Dj jamming out to all of your favorite tunes. For a complete line visit: http://www.wallmiami.com/. 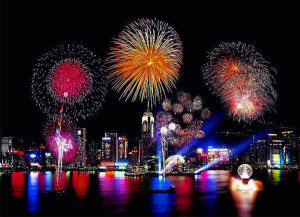 On July 4, Moët Ice Imperial Presents Seasalt & Pepper’s Fourth of July event. It will consist of Dj Digital Rebels playing his dance mix all day long, delicious food and fun in the sun. Afrojack has become one of electronic dance music’s major icons. From humble DJ beginnings in his native country of Holland, he has grown to become a multi-award winning, platinum-selling producer. His skills are some of the most sought after in the world, and with two Grammy Awards under his belt, it’s easy to see why. In addition to this, his DJ sets have fast become both iconic and unparalleled, providing an explosive take on the current state of dance music across the board. Join us this 4th of July weekend at Mansion nightclub as we present Afrojack; July 3, 2014 / Doors at 11pm / Tickets starting at $50. http://opium.wantickets.com/Events/157361/Afrojack-at-Mansion/.